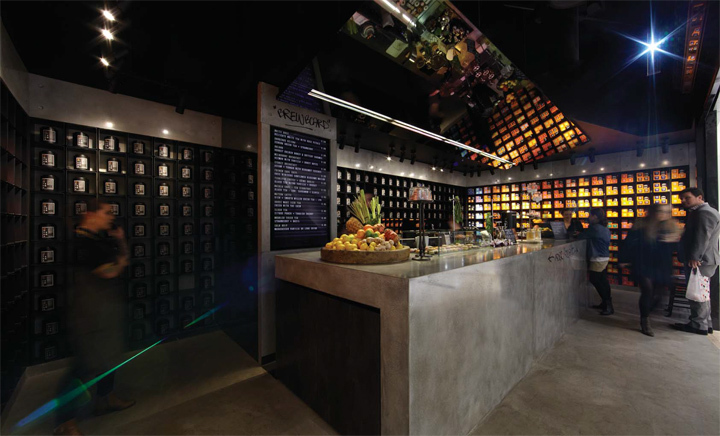 T2B is a new tea-retailing concept for T2. 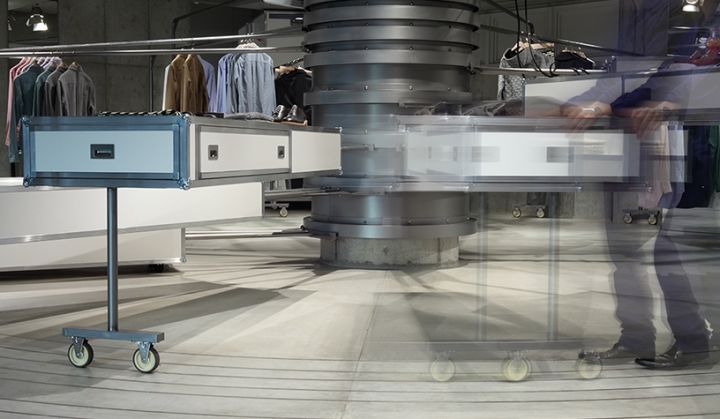 The “B” stands both for “Brew” and “next” as in their second concept. 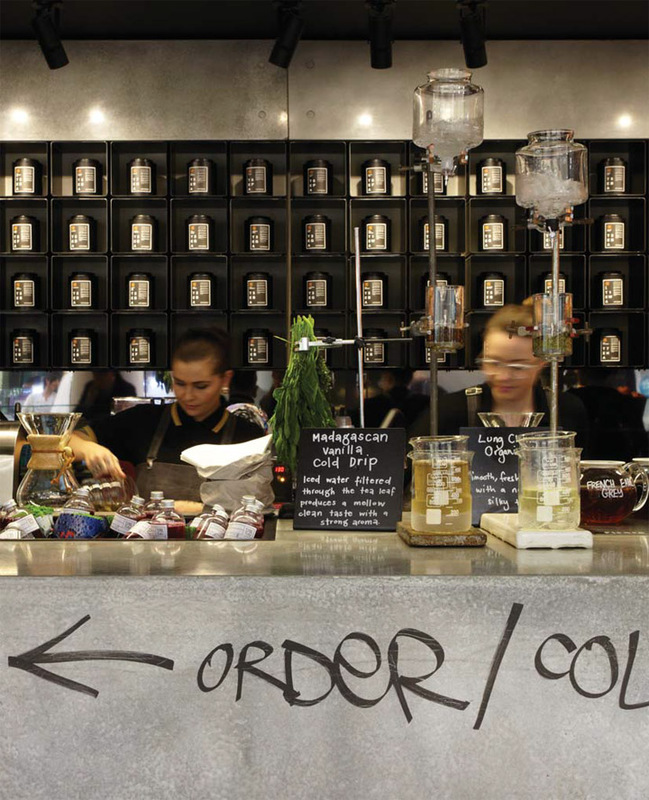 Unlike its predecessor T2, T2B’s primary business is the sale of brewed tea to “take away” or to be consumed “on premise”. 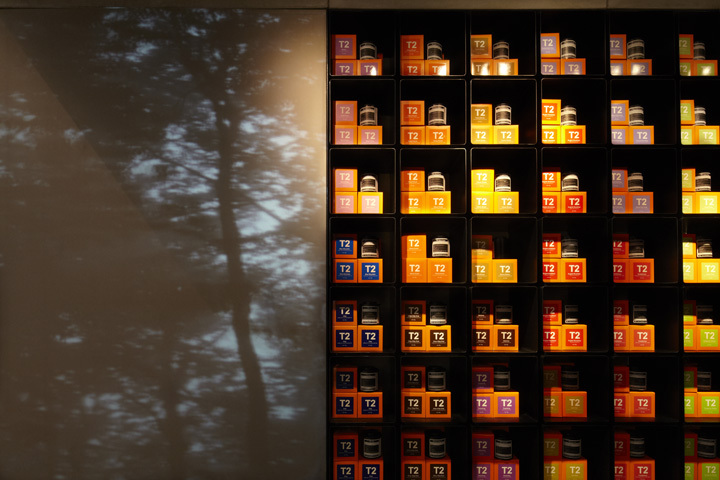 A small range of delicious tea based foods and over 200 packaged teas to purchase supplement this. 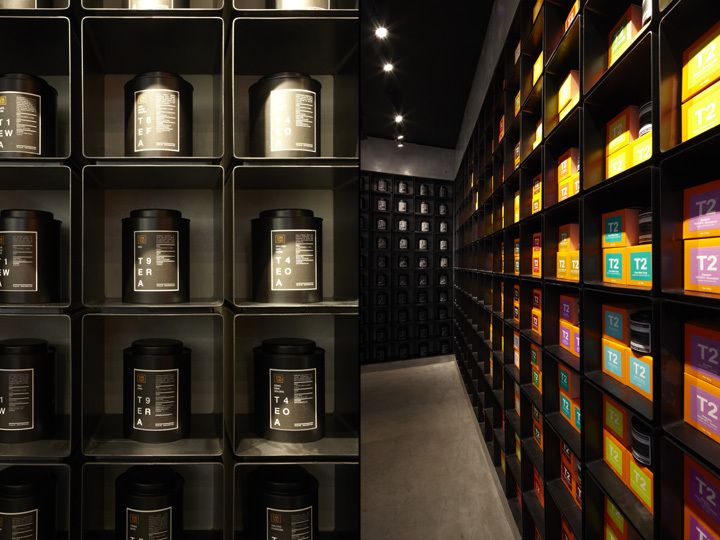 The store is a hub of creativity, that celebrates the T2 teams unparalleled expertise and love of tea in a visually challenging environment. 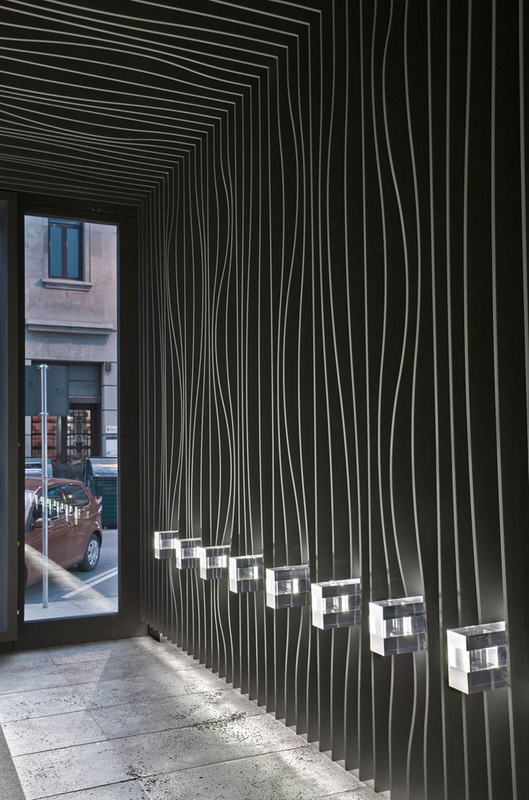 Landini Associates brief was to exemplify this notion. 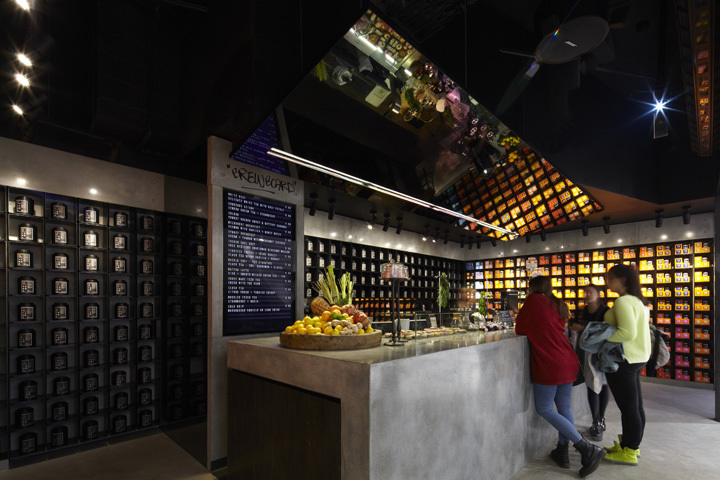 As such the large cast concrete bar showcases the making of tea in a theatrical manner and the store allows customers to indulge in experimentation, designing and blending their own brews. 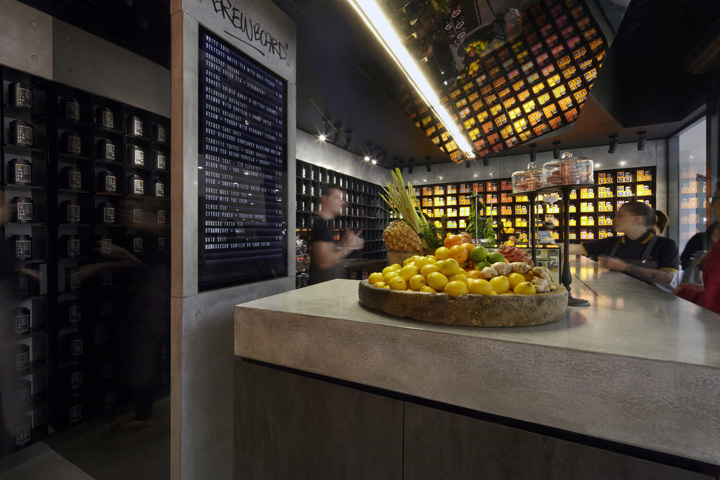 In order to create more drama, an angled mirrored ceiling was installed over the bar and the signage is made of extruded concrete letters surrounded by a huge splash of expressionist paint. 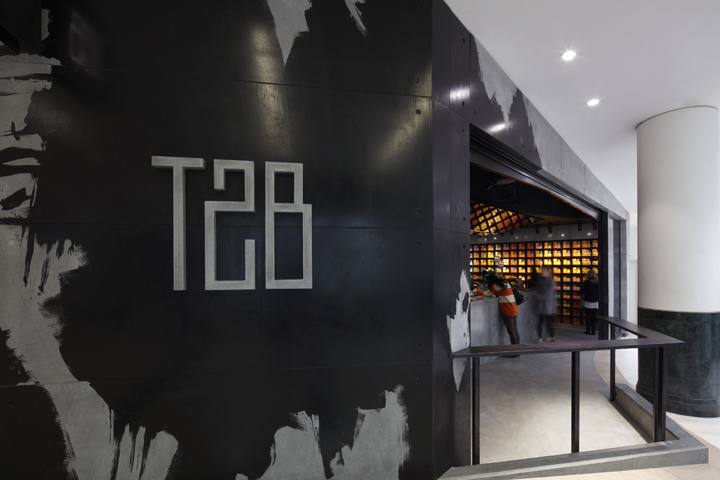 Other features include the Tea Library at the rear of the store, made from black oxidized steel shelving and canisters; this dark palette allows T2’s trademark orange packaging to stand out under the intense lighting. 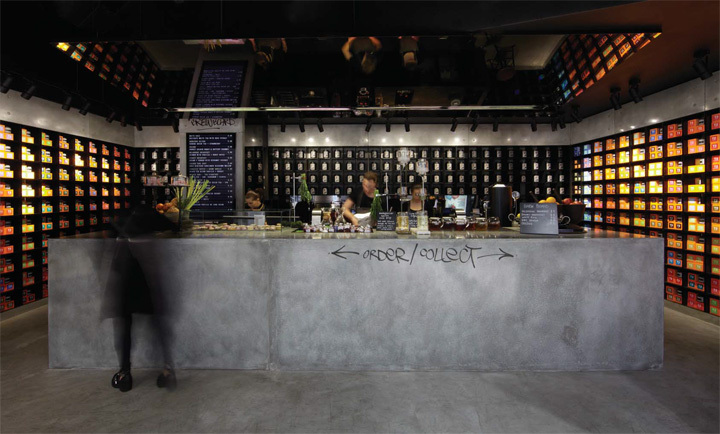 Additionally, a small steel “dry bar” ledge acts both as a place to stop, drink and chat and a rail to protect customers from the drastic level changes at the site’s threshold. 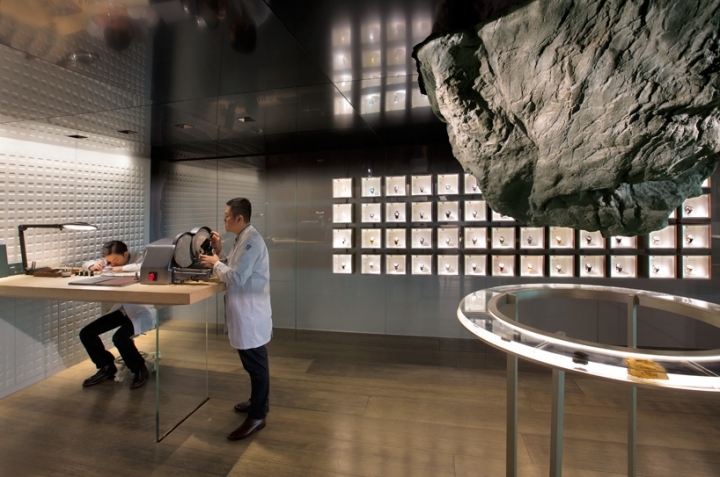 Finally two small back of house areas are hidden behind a vertical projection screen, displaying film of rushing seas and swaying forests and a massive secret pivoting door of tea. 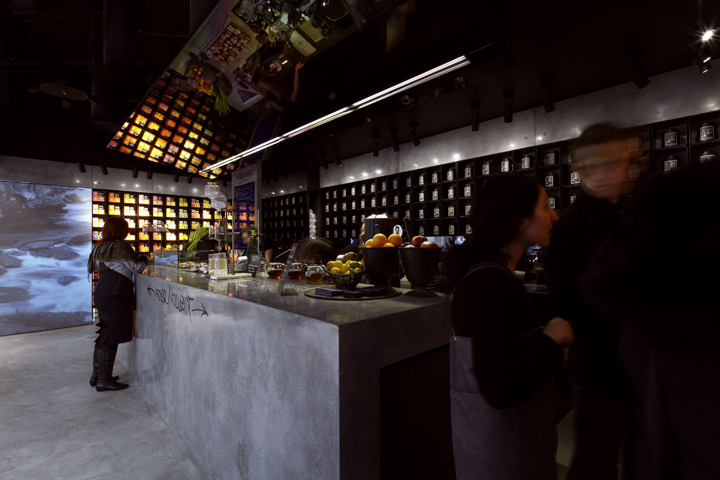 T2B is the first of many locations now being planned and a radical departure from the thematic teahouses of old.